The official public forum is now available at the web address forum.bedita.com. "Users" is dedicated to all BEdita users, i.e. 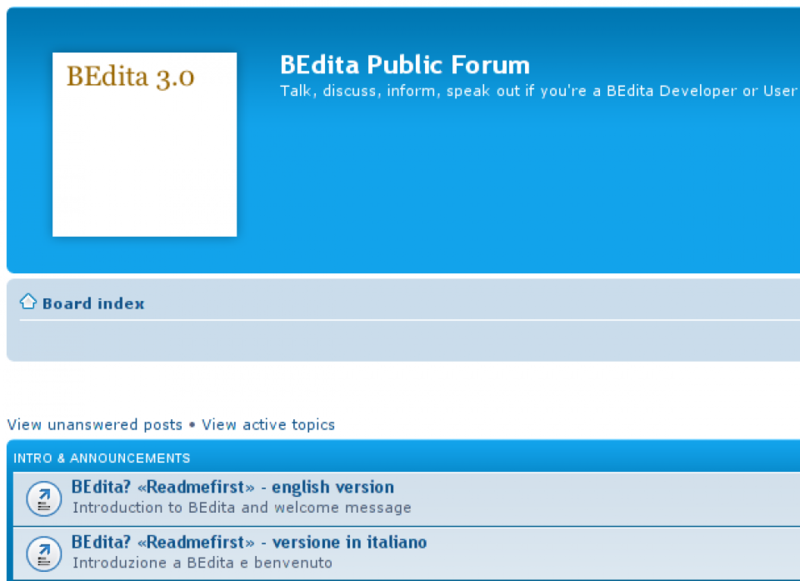 all the people using BEdita as a content management system: subeditors, webmasters, forum moderators, bloggers and so on. Ther is also an introducing post by Christiano Presutti: BEdita? «Readmefirst».